l Wide voltage band of 8-28V. Power supply of DC and terminal. l RS485 circuit board features electric isolation, lightning protection, surge protection and anti-interference. 900/1800MHz Version E. LTE FDD. 900/1800MHz Version JC LTE FDD. 900/1800MHz Version JE LTE FDD. 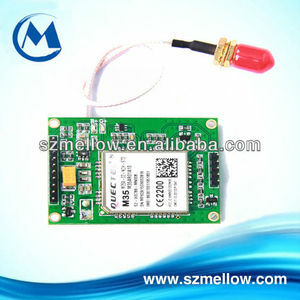 WAVECOM GR64 GSM GPRS MODULE : Optimized for global M2M communications, the GR64 is a Quad Band GSM/GPRS Class 10 compact Radio Device. The GR64 offers a broad range of voice and data features, and enhanced features and compatibility with the Sony Ericsson GM47/48 and GR47/48 Radio Devices. The GR64 is configurable and possesses an extended range of input/output capabilities. 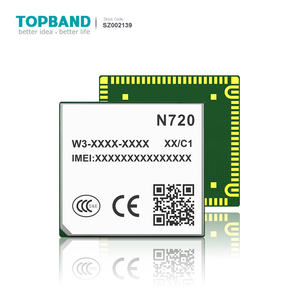 Head Weblink Corporation is founded in 2008.We are expert of wireless M2M products and total solutions supplier in China. Our products and solutions are widely used in finance, transportation, telecom, electricity, power meter, water conservancy and other industrialapplications. Improve their own products, rich products, to ensure that customers get efficient, stable, long-term service and supply safety. 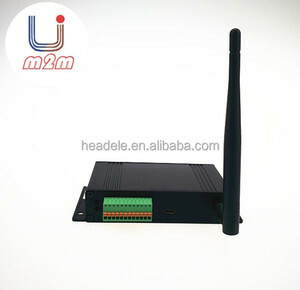 TC65 Smart m2m industrial java modem rs232 gsm gprs modem Description: TC65 Smart is a Quad-band (850/900/1800/1900 MHz) GSM modem intended for data transmission via cellular communication networks. The main feature of TC65 Smart is Java&trade; Virtual Machine support which makes it possible to execute java-applications developed for special tasks. In this case TC65 Smart may be used as the off-line unit, and it essentially simplifies architecture of the system. The main feature of TC65 Smart is Java&trade; Virtual Machine support which makes it possible to execute java-applications developed for special tasks. In this case TC65 Smart may be used as the off-line unit, and it essentially simplifies architecture of the system. 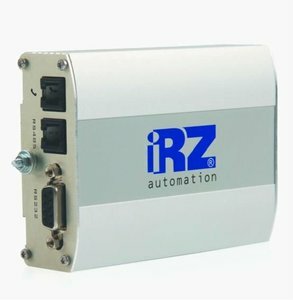 TC65 Smart may be used in telemetering and telemechanic systems, security and alarm systems, as well as in other systems in which wireless data transmission is required. Full modem interface with status and control lines, unbalanced, asynchronous. Support RTS/CTS hardware handshake and software ON/OFF flow control. Autobauding supports baud rate from 1200 bps to 57600bps. 900/1800MHz Version JE LTE FDD. 900/1800MHz Version E. LTE FDD. 900/1800MHz Version JE LTE FDD. 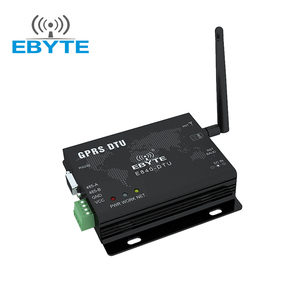 With abundant application capability like TCP/UDP/FTP/FTPS/HTTP/HTTPS/SMTP/POP3 and MMS, the module provides much flexibility and ease of integration for customer's application. 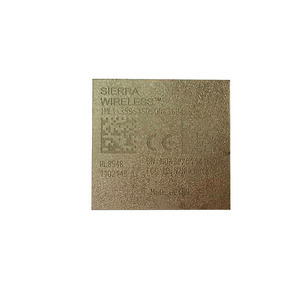 Main Features Name: SIM7500SA Brand: SIMCOM Original: China It has strong extension capability with rich interfaces including UART, USB2.0, I2C, GPIO etc. With abundant application capability like TCP/UDP/FTP/FTPS/HTTP/HTTPS/SMTP/POP3 and MMS, the module provides much flexibility and ease of integration for customer's application. Head Weblink Corporation is founded in 2008.We are expert of wireless M2M products and total solutions supplier in China. Up to now, we have exported our products to more than 70 countries . Improve their own products, rich products, to ensure that customers get efficient, stable, long-term service and supply safety. 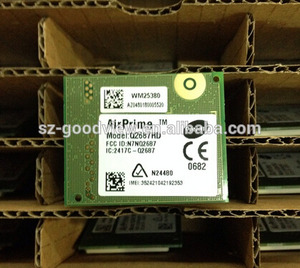 Alibaba.com offers 146 uart gprs gsm modem products. About 34% of these are wireless networking equipment, 5% are integrated circuits, and 3% are modems. 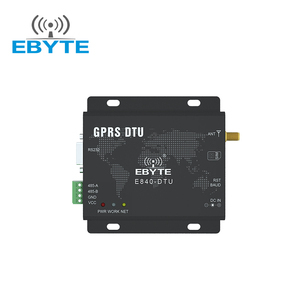 There are 66 uart gprs gsm modem suppliers, mainly located in Asia. The top supplying country is China (Mainland), which supply 100% of uart gprs gsm modem respectively. 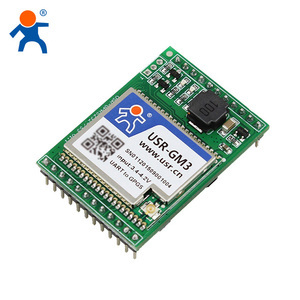 Uart gprs gsm modem products are most popular in Northern Europe, Western Europe, and Southern Europe. You can ensure product safety by selecting from certified suppliers, including 11 with ISO9001, 2 with ISO14001 certification.